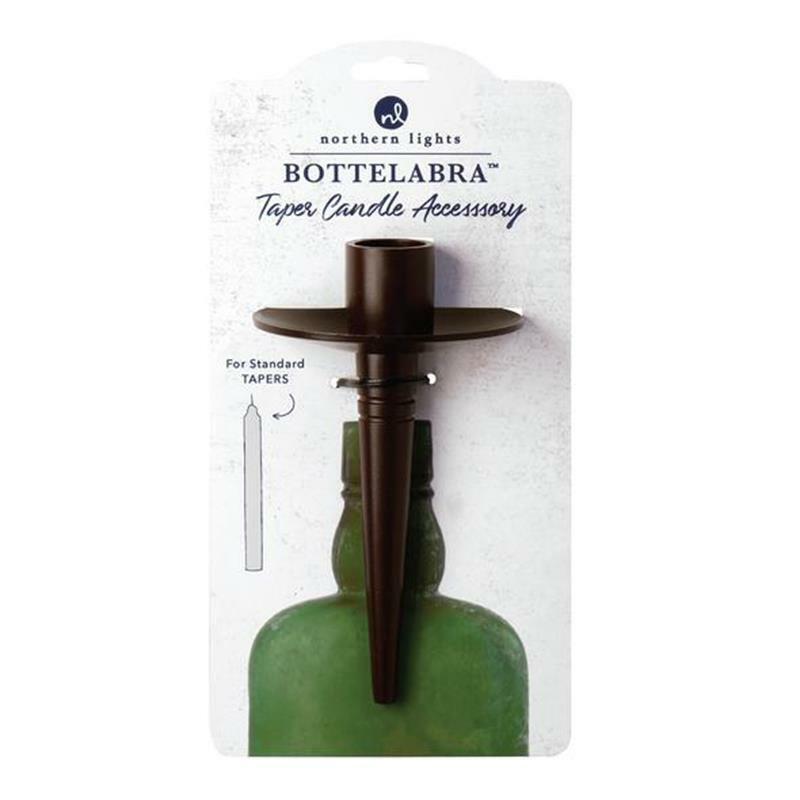 Turn your favorite wine bottles into distinctive candelabra with our Bottelabra candle accessories. Designed to hold taper candles, they are easy to use. Just push into almost any empty wine bottle; the rubber rings ensure a secure fit. Measures 3.25in x 5.5in. Bottelabra are made of cast aluminum and available in either polished pewter or in a bronze color finish, shown here.